Well hello again! :0) Last night we had our fourth #YABluewater meeting. 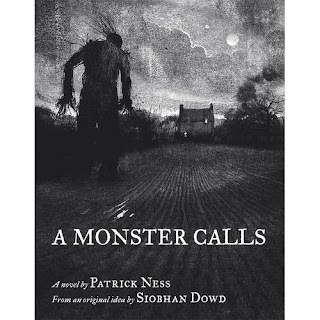 We discussed a gorgeous book called A Monster Calls, by Patrick Ness. We gave it 4.5 out of 5 stars, so I think it's safe to say that we LOVED it!! We managed to cover a few key points last night, as well as talking about the book. We have a special plan in place for the month of December! It's not quite top secret but I'll leave all of the details for another post closer to the time. I'm very excited about it though! Also, to anyone new thinking of coming to the October meet, we have changed from the second Thursday to the third. It will only be for the one month, as I will be at a friends wedding. So the next meet will be on 18th October at 7-8pm in Costa Coffee, behind the Bluewater Waterstones store. So what did we think of this months book?...It made all but one of us cry! lol We gave it 4.5 out of 5 stars, so I think it's safe to say that we loved it! We applaud Mr Ness on a fabulous book! We loved how relatable it was. It didn't matter if you were a Mum, child, boy or girl, it was accessible to everyone. The way that Conor's story was portrayed made it very easy to place yourself in his shoes. We felt that this was one of the key elements that made this book so universal. This was reflected in the illustrations as well. There was never a clear shot of Conor's face, his identity was never truly revealed, and that made it easy to put yourself in his place. We loved Conor, we were sad for him, angry with him and relieved for him too. 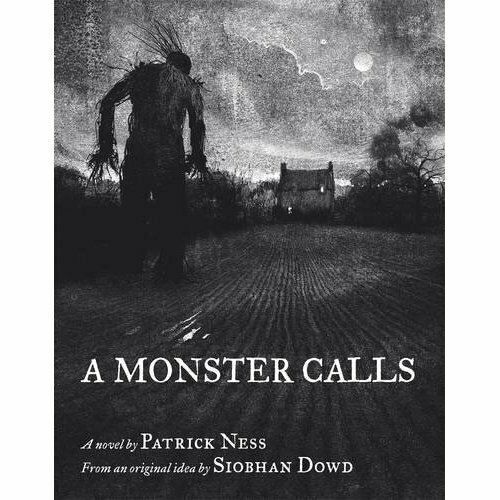 It is such an emotional subject matter, that many authors would be too scared to tackle, and we felt that Patrick Ness did a brilliant job. It should be an automatic read for any person or family who is dealing with a similar situation. The thing we all loved the best was just how far reaching it was. Our youngest, right through to our oldest members, were able to connect with the words and take something from them. There really is no upper or lower age limit to this book. We adored it! Though a few of us may need some emotional shoring up to read it again, it is as one of our members said "one of the best books I've ever read." For our next book, in October, we will be reading Shadows on the Moon by Zoe Marriott. I am so excited this book was chosen!!! This is one of my personal favourites, and I am always recommending it to customers at work. It is a truly beautiful book, and I'm thrilled to have an excuse to read it again! (Not that I need one! lol) I will be writing a separate post to let you guys know a bit more about it soon.